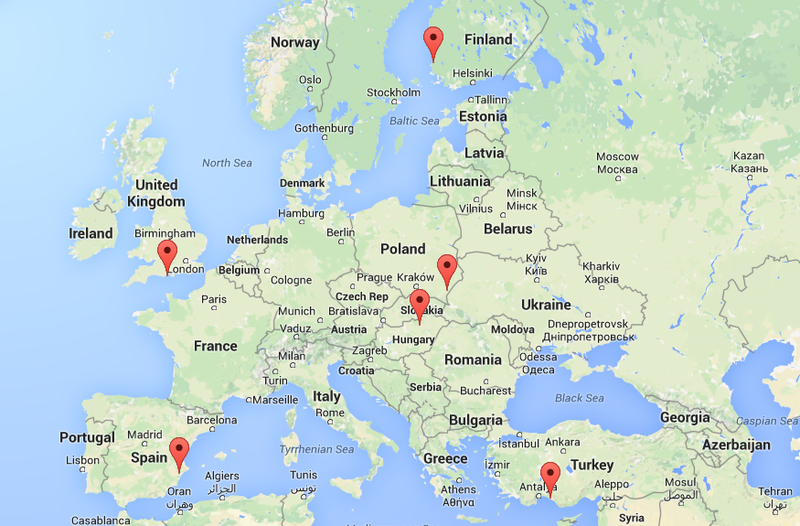 Pangea is an Erasmus+ project carried out by 6 countries: Finland, Hungary, Poland, Spain, Turkey and the United Kingdom. The objectives of our project include promoting reading literature, the learning of foreign languages, the study of other cultures and intercultural communication. During the activities the participating students will be able to hone their ICT skills as well, since they will have to learn and use Prezi, write a blog and use ICT in creating their exercises. It is our most important objective to make the participating countries’ cultures more accessible for our students through literature and team work. I’m having such a great time in Turkey, we are working so much and nothing could be better!!! Hi! I’m Sandra. I’m from Spain. Hi, I’m Nerea. I study at IES GABRIEL MIRO. Participate in the project was fun. HI! I’m Marta Morante, I’m from Spain and I study in Gabriel Miró, Orihuela. I really liked participate in this project. I´m Belén López and I study in IES Gabriel Miró, Orihuela, Spain. The trip to Finland was a unique and unforgettable experience for me, I want to thank for everything to my great friend Oona, and also thank for everything to the people I’ve met there, I hope to see you all again!! Hi! I’m Encarni Almira. I’m from Spain and I study in Gabriel Miró, Orihuela. I liked to participate in this project of the Moomins. I had a great time doing the activities related with the Project. It has taken much time and effort the activity, but in the end it has been very good. I was enjoy doing our pop-up book of Moomins. I’m very satisfied with the final results. Hi! I’m Marta. I’m a student from the Spanish team. I’m very pleased and happy because of the opportunity to meet foreing people and share cultures together! 3 amazing years, 5 fantastic countries, dozens of new friends, thousands of experiences … and several presentations 😉 It was a fantastic adventure!